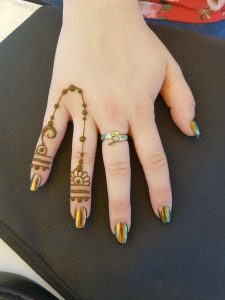 Henna is the Persian name for a shrub native to Asia that thrives in warm climates. The leaves are harvested, dried, and ground into a fine powder that is used to produce a dye on the skin. 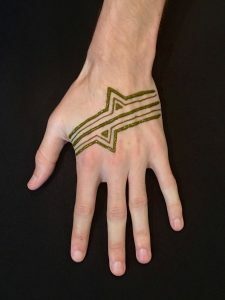 Natural Henna paste results in a reddish brown color. 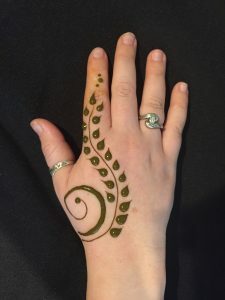 Other colors of paste that claim to be Henna, like “Cherry Red” or “Black” are usually made with added hair dye or a chemical called PPD that can be harmful to the skin. 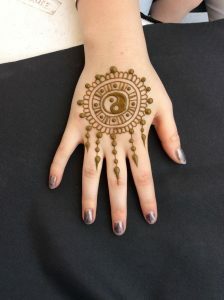 At SmileyOrca, we offer only natural henna and mix our own paste so our henna is fresh and safe!